Six months later than originally billed, England and Chelsea hero Frank Lampard finally makes his MLS debut for New York City FC against Toronto FC this Sunday. He’ll be joined Stateside by his long-time international central midfield partner, Steven Gerrard, who’ll lace up his boots for LA Galaxy for the first time on Saturday evening in a friendly with Mexican side Club America. Both played key parts for their clubs – Manchester City and Liverpool respectively – but who completed their final season in England with the biggest flourish? The experts at leading fantasy football site Football Fanager took a look at their Opta stats and found out. 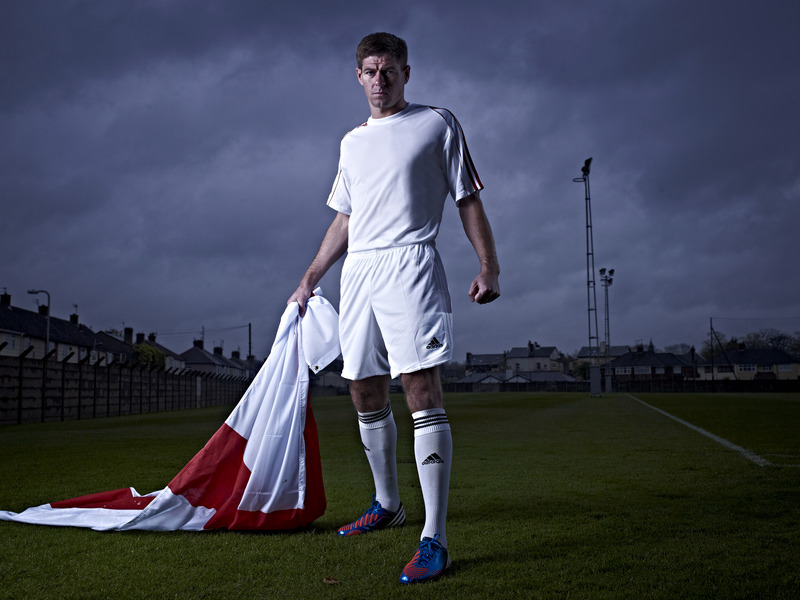 Gerrard remained a starting player for the hometown club he served so passionately for almost two decades. In his final season, he made 30 league and European starts, versus just 11 for Lampard, who featured predominantly as an impact substitute. However, including their sub appearances, both players are neck and neck at 35. Verdict: Gerrard was central to his clubs hopes right to the last. Easy win on this count. In recent years, as his speed slowed and engine diminished, Liverpool captain Gerrard had been given a deeper role, spraying trademark diagonal passes to the speedy Raheem Sterling or skilful Adam Lallana. In contrast, Lampard has retained his nose for the net, actually pressing higher up the pitch and scoring a decent return of six goals despite limited time on the pitch. He also matches Gerrard for assists this season. Verdict: Despite Gerrard’s greater goal tally, Lampard has been more economical with his time on the pitch and edges this one. featured and Gerrard’s irritation showed with eight yellow cards and a sending off to his name. For Lampard, his work was done at Chelsea, and Manchester City offered him a high level, low pressure swansong to his Premier League career, and it showed in his discipline. Gerrard: 8 yellow cards, 1 red card. Lampard: 1 yellow card, 0 red cards. Verdict: Another notch for Lampard, who had nothing to prove in the sky blue shirt of the Citizens and was a relaxed figure in his final season. The pair have both been good friends to many a fantasy football manager down the years. In these twilight seasons, their scoring prowess may have diminished but they still gave a good showing in the fantasy point scoring. Lamps edges Stevie G by just nine points with a 138 point total – not too shabby for a bit-part player when you consider the pinnacle for points this season was Chelsea’s Eden Hazard with 300. At 129 points, Gerrard has been less prolific, but still leaves with his head held high. Gerrard: Transfer value £5.03m, Football Fanager points 129. Lampard: Transfer value £1.32m, Football Fanager points 138. As ever, these two greats of the English game are almost too close to call. On stats alone you can’t look any further than Frank Lampard, but playing in a better side (Man City bagged 22 team wins with Lampard included, compared to just 12 for Liverpool with Gerrard in the side) surely leans the favour back towards Gerrard. Final verdict: Both players will light up the MLS, with Frank Lampard taking the plaudits in this head-to-head between two of England’s greatest midfielders. Football Fanager is a fantasy football game that opened to public last June in time for the World Cup. Based in Livingston, Scotland the platform has over 25,000 subscribers playing for cash awards and a variety of prizes ranging from signed memorabilia to full Champion’s League final experience with travel, accommodation and match day tickets. It allows football fans, whether die-hard or more casual fans, to prove their managerial skills in head-2-head battles, private and public leagues.